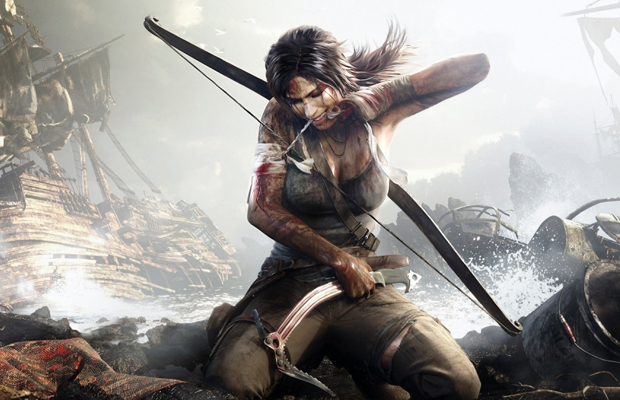 If a new Amazon listing is to be believed, Crystal Dynamics’ 2013 Tomb Raider reboot may be headed to the PlayStation 4. A listing for Tomb Raider: Definitive Edition, set for release on Jan. 24, was spotted on Amazon Italy. The listing seems to have been taken down since first being reported on by Eurogamer, but the listing initially suggested that the Definitive Edition, if real, will include the original game, all related DLC and an art book (and, presumably, shinier graphics). All downloadable content released for Tomb Raider were multiplayer map packs; no single-player story content was released for the game. This wouldn’t be the most surprising move on publisher Square Enix’s part, considering a sequel has already been confirmed as in development for next-gen consoles. Assuming the listing is real, there’s no indication whether the game will hit Xbox One (or Wii U, which the original game was never released for), though a second listing – also now gone – listed the game for “next gen.” The original game was released in March for Xbox 360, PlayStation 3 and PC to generally positive reviews. Again, the listing seems to have been taken down, which could indicate that the information was in error or that it was ordered taken down by the publisher, since nothing has officially been announced yet. What do you think, gamers? Would you pick up a new copy of Tomb Raider? Why or why not? Let us know in the comments.